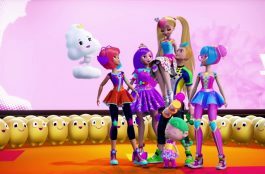 Barbie and her sisters will be a few days away from Malibu, heading to Willows, a small town where the girls lived their childhood beside his grandmother; Barbie, Skipper, Stacie and Chelsea have fond memories of that stage where they had fun with a simple things. When they arriving at grandmother’s house, they discover a pleasant surprise: They were born puppies and the small dogs anxiously await to be named and adopted by the sisters! 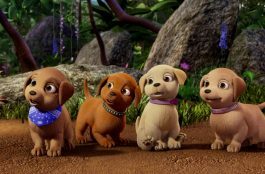 Barbie, Skipper, Stacie and Chelsea immediately feel identified with small puppies and from that moment no more separate again. 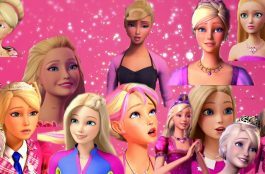 Barbie and her grandmother explained to them that exists in Willows an old legend that says that the founders of this place, buried a great treasure so that the site will never suffer from shortages. Most people had given up on finding the treasure because he had to decipher many tracks but … the sisters decide it’s time to live the adventure of looking for that rare treasure! Then began the quest to find the treasure of Willows! Skipper, Stacie and Chelsea are taken very seriously the role of detectives and to everyone’s surprise, they begin to find different clues that no one had previously revealed. On each day, the girls discover new things and immediately attracts the attention of two criminals who know that if they start to follow them could also reach the treasure and steal it. 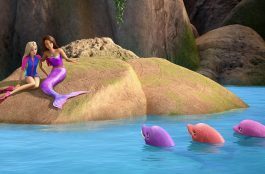 However, Barbie and her sisters who are still working to find the famous treasure of Willows, always accompanied by their faithful friends dogs. 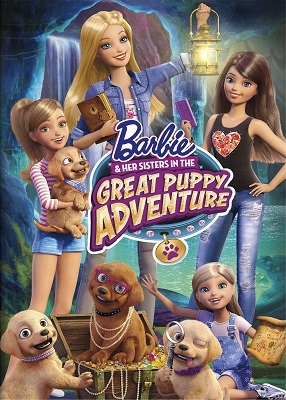 One day things get complicated because the crooks steal the tablet where Skipper kept the clues; Barbie then tries to convince her sisters to desist in the treasure hunt, but her grandmother makes her reflect and invites her to spend more time in the company of Skipper, Stacie and Chelsea who are hopeful this adventure. The more we approach the end of the map, things get more interesting for the sisters who come to the depths of Willows, followed by villains who are not willing to pass up the opportunity to become millionaires. In the end, the sisters reach their goal, you can not miss the grand finale of this adventure that will allow the inhabitants of Willows again enjoy prosperity because the girls have donated the treasure to the community! In gratitude, the mayor gives the girls a part of the treasure but they realize that the best payment has been to live this adventure between the sisters, where the love is the most important element in the family.